Teen Line staff Cheryl Eskin and Michelle Carlson conduct a webinar on suicide prevention in teens on 3/30/17. Adolescence is a time of immense change for both the parent and teen. Teens are grappling with a changing body, emerging sexuality, questions of identity and peer pressure, to name a few issues. Parents are faced with their adolescent wanting more independence and separation, which can lead to conflict and impaired communication. With everything going on, it’s difficult to know what’s depression and what’s general teen moodiness, and when and how to intervene. We know that teens with depression don’t always present the same as adults. There may be no appearance of “sadness” or isolation/withdrawal. Teens who are struggling may present with anger or irritability, which can be misinterpreted. 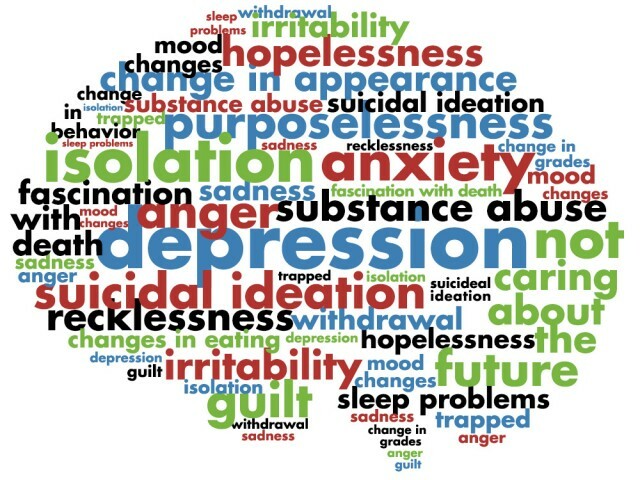 So what are the warning signs of depression? A very general rule of thumb is to observe a teen’s behavior over a matter of days or weeks, rather than to catastrophize over one day. Pay attention to how different they are acting from the norm, how severe their behavior changes are, and if there are any recent losses or changes. A teen who used to enjoy school and have a lot of friends and activities, and now spends most of their time alone and their grade are suffering is a teen sending out warning signs. Teens who exhibit warning signs should also be monitored for suicidal ideation (thinking about suicide). Suicidal ideation should always be taken seriously and explored.